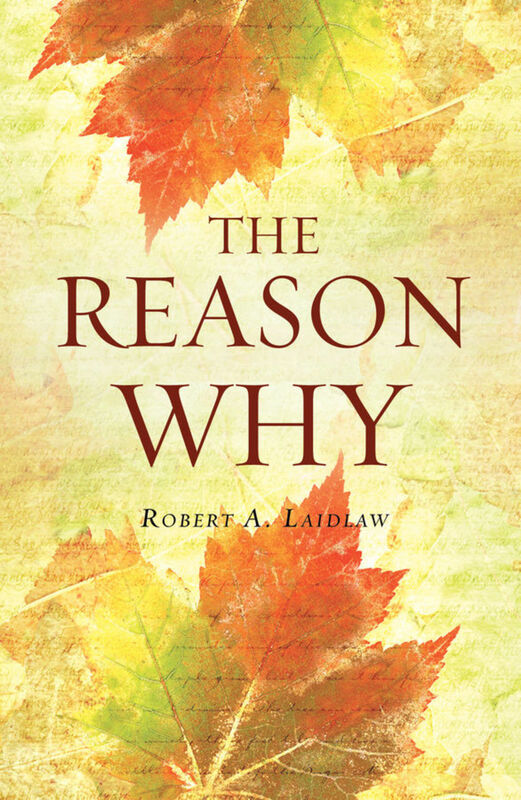 This booklet discusses some of the most basic questions of the soul: Is there a God? Is the Bible true? Such a thing is too ridiculous to be thought possible, yet is it not just as foolish for men and women to be spending all their time and thought on their bodies, which are but caskets containing the real self, the soul, that the Bible tells us will persist long after our bodies have crumbled to dust? How may we know there is a God? As far as I myself am concerned, my most convincing reason for believing there is a God is that I know Him personally. According to 1 Thessalonians 5:23 I, like you, am spirit, soul and body. My spirit makes it possible for me to be God-conscious as stated in Rom. 8:16: “The Spirit himself bears witness with our spirit that we are children of God.” That is, when we turn to God through accepting Christ as our Savior, we are born of the Holy Spirit into God’s family, and naturally we come to know God intimately as Father. My soul makes me self-conscious, as seen in Psalm 13:2 where we read, “How long must I take counsel in my soul,” or, how long shall I talk things over with myself. This strange capacity, sometimes called “the awareness of the ego,” enables us to stand off from ourselves and talk to ourselves; and, by the way, we sometimes say some pretty straight things to ourselves that we would not take from anyone else. But to me the problems of unbelief in God are greater than the problems of belief. To believe that dead matter unaided produced life, that living matter produced mind, that mind produced conscience, and that the chaos of chance produced the cosmos of order as we see it in nature, to me would call not for faith, but for credulity. The President of the New York Scientific Society, as recorded in the Readers’ Digest, gave eight reasons why he believed there was a God. The first reason is as follows. Take ten identical coins and mark them one to ten, place them in your pocket, and take one out. There is one chance in ten that you will get number one. Now replace it, and the chances that number two will follow number one are not one in ten, but one in one hundred, and so on, mounting ten each time, so that the chances of number ten following number nine are one chance in 10,000,000,000 (ten billion). It seemed so unbelievable to me that I immediately took pencil and paper and very quickly discovered he was right. Try it yourself. Surely no thoughtful person would wish to base his eternal future on a “statistical monstrosity.” Perhaps that is why the Bible says in Psalm 14:1, “The fool says in his heart, ‘There is no God.’” But let us consider the problem from another viewpoint. You would probably consider me a lunatic and move further into the crowd to escape my senseless chatter. You know that where there is a design there must be a designer. And, having seen other productions of the human mind just like the steamer in question, you would refuse to believe that it was not planned by human intelligence and built by human skill. Yet, there are men not considered fools who tell us that the solar system evolved from its nebulous state by chance, that in some mysterious way it came into being—that there was really no higher intelligence at work on it; they tell us they know no God but nature. On the other hand, there are many thoughtful men who believe that God is transcendent—that is, while He reveals Himself in nature, in that its laws and principles are expressions of His power and wisdom, He Himself is essentially more than the sum of them all. Atheists offer us the anomaly of design without a designer, of creation without a Creator, of effect without cause, and to escape from this dilemma ask: “If God be considered the ‘first great cause,’ account for Him. Who made God?” Now, such a question contradicts itself, for it is evident no cause could make the first cause, or the first cause would become also the second cause, which is a mathematical absurdity. Every thoughtful person believes in a series of causes and effects in nature, each effect becoming the cause of some other effect. Now the acceptance of this as fact logically compels one to admit that there must be a beginning to any series—that is, there could never have been a first effect if there had not been a First Cause. This First Cause to me is Deity, and “I cannot tell where God came from” is not a satisfactory reason for denying that He exists, else I might as well deny the existence of the millionth effect which, for the sake of argument, might happen to be this world. You see, if I admit one cause as ever having existed, I am bound eventually by induction to arrive at the First Cause. Although men have discovered many of the laws that govern it, the greatest scientists cannot really define electricity. Then why do we believe it exists? Because we see the manifestation of its existence in our homes and our factories and our streets. Though I do not know where God came from, I must believe He exists, because I see the manifestations of Him everywhere around me. Being convinced there is a God, we take the next step forward. I cannot conceive of an intelligent man making anything without a purpose—if he makes shoes, they are to wear or sell; if he bakes bread, it is for himself or someone else to eat. Behind every action there must be a motive. When I thought of this, it seemed to me quite reasonable that God should have a purpose in view when He brought in Creation. Of all the many books this world contains there is one only that claims to be a direct revelation from God, telling us of Himself and His purposes in us. Being a claim of such moment, it is surely worthy of thoughtful investigation; so with the advice of Francis Bacon neither to accept nor reject, but to weigh and consider, we approach this Book with its strange claims. But such an admission brought me face to face with a grave difficulty, for this Bible set a standard of righteousness that I had not attained, and judged all short of its standard to be sin. Remembering that God knows every secret thought you have ever entertained, just measure yourself alongside the standard: “You shall love the Lord your God with all your heart and with all your soul and with all your mind. This is the great and first commandment” (Matt. 22:37–38). Confronted with such a standard, can you claim to have lived up to it throughout your life, to have put God first in everything? Just read it again: “You shall love the Lord your God with all your heart and with all your soul and with all your mind.” If you can, there is no need for you to read the rest of these pages, for however vital the interest they hold for those of us who have fallen short of God’s standard, they can be of no importance to you. But think hard—reconsider, for God says in Romans 3:23: “All have sinned and fall short of the glory of God.” And in verse 10: “None is righteous, no, not one.” All have failed to reach God’s standard. My conscience and my common sense compelled me to admit I had fallen short, as far as I was concerned, of God’s standard of absolute holiness and that therefore I was a sinner in His sight. Thus, as far as God’s standard was concerned, I was lost, and as God’s standard was the only one by which I was to be judged in Eternity, I was hopelessly lost. I began to see that it didn’t matter at all what I thought, or what my friends told me; the judgment would be on what God had said. Moreover, because in His judgment we had all sinned, there was no use in looking to my fellows for help, for they were under the same condemnation as myself. But this same Bible told me of One, Jesus Christ, who claimed to be the Son of God. He, too, saw that men were lost, that they had forfeited their lives to sin; so He said to His Father, “Father, I have not forfeited My life; I am pure, sinless, spotless; My life is My own; let Me give My pure life in place of man’s sinful life, that he may go free.” And God said, “Go.” Christ tells us in John 3:16 that “God so loved the world, that he gave his only Son, that whoever believes in him should not perish but have eternal life.” If Jesus Christ is the Son of God, then we have indeed the assurance of salvation; but the difficulty faces us: Is Jesus Christ really the Son of God? He could be only one of three—the Son of God, a deceiver, or an honest man Himself under a hallucination. But when we find Him meeting some of the cleverest men of His day who were purposely sent to catch Him in His words, and so silencing them that they dared not ask Him any more questions (Matthew 22:46), and ourselves considering even from an intellectual standpoint the wisdom of His statements, we may dismiss the last of these suppositions absolutely. Was His wisdom so great that He was using it to deceive the people? Have you ever heard of a young man associating with swindlers and rogues and because of that association becoming ennobled, pure and honest? No! You admit you have not heard of such a case; but I know a young man who, by the reception of Christ into his life, has been lifted from the basest desires to the noblest manhood, and I simply can’t believe that the reception of a deceiver into one’s life could so transform it for good. I call to witness the opinion of the whole civilized world that Jesus Christ was at least a good man. If so, then an honest man, and if honest He must have been what He claimed to be, the Son of God, sent to lay down His sinless life in place of your sinful life and mine. Ecce Deus, Behold thy God. Convinced that the Scriptures are true, that Jesus Christ is the Son of God, believing that He willingly came, and God so loved me that He has willingly sent Him to suffer the full penalty of my sins that I might go free, if I would retain my self-respect, I must accept Jesus Christ as my Savior, and crown Him Lord of my life. But I do not ask you to accept Him as yours. Possibly you admit the Bible is true, but ask, have I interpreted it correctly? Are not the views of others worthy of consideration? Surely they are. Let us test that. Not far from where I live a shopkeeper, one fine Sunday morning, said to his wife and family, “Let’s take our little delivery van and go for a picnic.” Traveling north, they came to a level crossing on a branch railway line and, sincerely believing there would be no train on a Sunday morning, he attempted to drive straight over—Crash, an engine struck him. He was killed on the spot, one son had an arm broken, and his little daughter was in a plaster cast for months. Did his sincere belief that all was clear save him? No, it did not. I know a nurse who, on night duty, sincerely believed she held the right medicine in her hand. But it wasn’t, and in twenty minutes her patient was dead in spite of frantic efforts to save him. Of course we need sincerity, but we must sincerely believe truth, not error. In fact, having sincere belief in error can be the very means of luring us on to destruction. The Bible leaves no room for doubt. In John 14:6, Christ says: “I am the way, and the truth, and the life. No one comes to the Father except through me.” Acts 4:12 says: “There is no other name under heaven given among men by which we must be saved.” If you can get to heaven any other way you will be a standing witness throughout all eternity to the ignorance of God’s Son, or to the fact that He spoke falsely when He said there was no other way. I ask in the deepest earnestness, is it not folly to attempt coming to God by any other way than through Christ Himself, God’s appointed way? “Why not turn over a new leaf,” says Mr. Reformer, “and live an absolutely holy life, and you will be all right for eternity.” That sounds reasonable, doesn’t it? However, before we accept it, let’s put it to a simple test. If a man could become absolutely holy, would he be better than he ought to be? No, of course he wouldn’t. If a man were perfect he would be only what he ought to be. Then, in a strictly logical sense, he couldn’t retrieve any of his past shortcomings. For instance, the manager of a business goes to his head clerk and finds that his firm owes $50,000 to manufacturers and other merchants. He says: “Write letters to all our creditors and tell them that we are not going to worry about the past, that we have turned over new leaves in our ledger and while we propose to forget the past, we promise to pay 100 cents on the dollar on all future business.” The clerk would think his employer had gone mad and would refuse to put such a proposition to their creditors; yet thousands of otherwise sensible people are trying to get to heaven by just such a proposal, offering to meet their obligations toward God for the future, but they are not going to worry about the past at all. Yet in Ecclesiastes 3:15, we read: “God seeks what has been driven away.” No, God’s righteousness demands that no past account shall be considered settled till it has been paid to the uttermost and every claim of justice met. The murderer may cover his sin and live the life of a model citizen for ten years after his crime, but man’s law, when he is discovered, condemns him, though he has murdered no one for ten long years—it judges him still a murderer. To hide past sin, either thoughts, words, or deeds, by what seems to be an absolutely perfect life, still leaves me a sinner in the sight of Him to whom the past and future are as open as the present. According to God’s standards of holiness, we all have sinned—then let us bring that sin out into the open and have it dealt with righteously so that we need fear it no more forever. To meet that past myself would have meant to me eternal loss, but the Lord Jesus Christ gave up His life in place of mine that I might go free. My past sin is expiated, and God, against whom I had sinned, has given me His receipt, showing His satisfaction with the completed work of Christ on the Cross in that He raised Him from the dead. Christ once crucified is now my living Savior. He died to save me from the penalty of sin, and now He lives to deliver me from the power of sin. But why did Christ need to die? Could not He have saved us without that? You and I had broken God’s law, and the penalty was death. How could Christ righteously deliver us without meeting our full penalty? Do you not see, if He paid anything less than the full price, there would still be judgment for us to meet? But it is evident that because He died, the law we had broken can judge us no more. On one occasion a Supreme Court case extended into the next day, and, as is the usual practice, so that no outside influence could be brought to bear on the jury members, they were kept in custody overnight. On entering the court the next morning, the judge, addressing the jury, said, “Ladies and gentlemen, the case is dismissed; the prisoner has been called to a higher bar.” The culprit had died in his cell during the night, and there was no use going on with the case, as the law cannot judge a dead man. Again, if a man should murder one person he is put to death, but if he should murder six people he is still just put to death, because this is the utmost penalty of the law, and no matter what a man’s sins may be, the law knows no greater penalty than to take his life. “Then,” says Mr. Largehope, “if Christ died for all, we must all be saved.” But God does not say so. He says there is salvation for all, but not that all are saved. For instance, it is a bitterly cold winter, and unemployment is rampant in one of our great cities with many in dire need. The municipal authorities are giving out free meals. You meet a poor fellow on the street, who says he is starving, and, naturally, you ask if he does not believe the notices that are up all over the city, that there is enough free food for everyone. “Yes,” he replies, “I believe that is true in a general sort of way, but I am still hungry.” And, you say, you are likely to remain hungry in spite of the provisions unless you partake personally of what is provided for all. Just so, although the death of Christ provides salvation for whoever will, only those are saved who personally accept Christ and believe that He died in their place. I must appreciate and appropriate Christ as my Savior, or His death will avail me nothing—just as a man could die of thirst alongside a spring of water if he refused to make its lifegiving stream his own by partaking of it for himself. “That is all very true, ” says Mr. Thoughtful, “but how could the Lord Jesus Christ’s one life be considered the substitute for the lives of so many, so that God offers salvation to whomever repents and believes in Christ?” That seems a fair question—a problem in arithmetic that can be demonstrated on paper. Christ was God manifest in the flesh—Divinity in humanity—so that the life He gave was an infinite life, which can meet the needs of any number of finite lives. Get a sheet of paper and write down all the big figures you can think of—millions or more—add them up. Now you have a big number; then multiply it by 10—100—by a million if you like—cover sheets of paper, and after all you still have a finite number—a number that has bounds set about it—it has a beginning and an end, however far it may extend. No, by adding finite things together no man has ever been able to make that which is infinite. The infinite life of Christ given for sinners is more than sufficient to save all who accept Him as the One who died in their place. But how could Christ suffer for my sins when they were not committed until 2,000 years after He died? At first this seems a problem to a thoughtful person, but the more thoughtful you are, the more readily you will see the solution. God is omniscient (that is, He knows all things), and God is eternal. In Exodus 3:14, God calls himself “I AM” (present tense), and Christ says in John 8:58, “before Abraham was, I am” (present tense). In other words, to one who knows all things and is eternal, there is, as it were, neither past nor future, but one eternal present. Events yet to take place 200 years ahead must be as clear to Him as events which happened 2,000 years ago, and both must of necessity be just as clear to God as events happening now. But why didn’t God make man incapable of disobeying His will and therefore incapable of sinning? Such a question is like asking, why doesn’t God draw a crooked straight line or a round square, or make an object pitch black all over and pure white all over at one and the same time? Man is a creature with the power of intelligent choice, so that the question really is: Why didn’t God make a creature with the power of intelligent choice and yet without the power of intelligent choice at once? If I had the power of hypnotism, it would be possible to put my children into a semi-somnambulistic hypnotic state, thus robbing them of the power of intelligent choice, and then say, “Sit on those chairs till I return” or “Kiss me goodnight,” and unfeeling arms would go around my neck, and unresponsive lips would be pressed to my cheek. I would have prompt and perfect obedience to my every behest, but would I find satisfaction in it? None. I want children with free wills and therefore capable of disobeying me, but who, of their own volition, choose to carry out my instructions which are the outcome of my love for them and are given for their own good. Thus I cannot conceive of God, who put these desires in my heart and yours, being satisfied with anything less. God does not want marionettes who jump in a given direction according to the wire that is pulled, nor does He want automatons in the form of “people” who mechanically and absolutely obey His will as do the planets that whirl through space. God can find satisfaction in nothing less than the spontaneous love of our hearts and our free-will decisions to walk in paths that please and honor Him. Although, it is obvious that this same power of free action enables us to defy and dishonor Him if we so choose. Man is truly a magnificent creature, far above the brute creation around Him. There is no “missing link,” but a great gulf fixed between the highest beast and man, for God has imbued man with the awesome power of being able to say an effective NO to God as well as an effective YES. In your own interests, may I graciously ask, which are you saying to God now as you read this booklet? But why should God care at all about man, who is as a grain of sand in comparison with the rest of the universe? A certain astronomer put an article in one of our important daily papers describing the wonders of the heavens as revealed by the 200-inch lens of the telescope at Palomar, Southern California, and after writing on the limitless distances and the millions of new galaxies discovered, he ended his article with the question, “Astronomically speaking, what is man?” Two days later in the correspondence column a reply appeared saying, “Astronomically speaking, man is the astronomer.” It matters not how vast the universe is proved to be, the universe cannot comprehend man in any degree whatsoever, but man can comprehend it in some degree, so that the greatness of the universe does not minimize, but magnifies the greatness of man. But is faith logical? Yes, it is logical. It is a mistake to think that faith is opposed to reason. Faith and reason go hand in hand, but faith goes on when reason can get no further. Reason, to a great extent, is dependent on faith, for without knowledge it is impossible to reason, and knowledge is very largely a matter of faith in human testimony. For instance, I believe strychnine administered in a large enough dose will poison a human being, but I have never seen the experiment performed. Yet I have such faith in the written testimony of men that I would not take a large dose of strychnine for anything. If you check up carefully, you will find that nine-tenths of the things you “know” are a matter of faith in human testimony, written or spoken, for you have not verified them for yourself. Therefore, having accepted the testimony of other men so freely, will you not accept the testimony of thousands of Christians when they affirm that they have verified the things written in God’s Word and proved them to be true? But why should God judge my sin as worthy of death? I would suggest that because of His infinite holiness no sin could exist in His presence. In Central Africa a native chief may club his wife to death on slight provocation without falling in the slightest degree in the estimation of his people, while the same act in our land would have to be paid for by the life of the murderer. The act is the same in both lands, but in one instance no judgment, in the other, quick retribution; and the difference is simply the result of our enlightenment. If a sin in Central Africa which is considered as nothing would lose a man his life in our land, think, if you can, what a sin which appears to us as nothing must look like to an infinitely holy God—for “God is light, and in him is no darkness at all.” (1 John 1:5). It may be just, but is it merciful of God not to take us all to heaven even if we reject Christ as our sin-bearer? Yes, it is both just and merciful. Tell me: Would it be any kindness to transfer a poor, ragged beggar into the glare of a beautiful palace room? Would he not do his best to escape again to the dark street from whence he came? He would be infinitely happier there. Would it be kindness and mercy on God’s part to bring a man in his sins into the holy light of heaven, that man having rejected God’s offer of the only cleansing power there is? If you and I would not be very happy if our friends could see right inside our minds and read all the thoughts that have ever been there (and our friends’ standards are perhaps not any higher than our own), what would it be like to stand before God, whose absolute holiness would make our sin appear in all its awfulness to us and everyone else? In Revelation 6:16, God tells us how those will feel who refuse now to accept Jesus Christ as their Savior and persist in going into eternity in their sins. They call on the mountains and the rocks to fall on them and hide them from the face of Him who sits on the throne, and yet it is the presence of this same Christ that will make heaven for those who have accepted Him as Savior and Lord. You see the absurdity of talking about God taking us all to heaven—heaven is a condition as well as a place. The presence of the Lord Jesus Christ will constitute heaven to those who are cleansed from their sins, while the same presence would make a hell of remorse in the hearts of any who, still in their sins, should stand in the infinite light of His holiness. Let us be quite reasonable—could you really be happy in the presence of One whose love you had rejected, and whose great sacrifice you had not counted worthy of your acceptance? God’s love would have forgiven the sinner, but God’s righteousness forbade Him. God’s righteousness would have judged the sinner, but God’s love restrained Him. How to reconcile His inherent righteousness with His character of essential love was a problem that no human philosopher could have solved, for divine wisdom and mercy find their highest expression in the solution—the vicarious suffering and death of God the Son. But, says Mr. Critic, does not therefore Christianity fail at its very foundation by basing everything on substitution, for substitution will not stand thoughtful investigation. It makes Christ, the innocent one, bear the penalty for the guilty, and lets the guilty go free. It is diametrically opposed to our every idea of justice, for we believe that justice should protect the innocent and bring the full penalty upon the guilty. But see God’s perfect justice and perfect mercy revealed at the Cross. He does not there take the innocent and compel him to bear the penalty of the guilty. God acts like the judge in this anecdote. It is on record that of two young men who studied law together, one rose to a seat on the Bench, while the other took to drink and wasted his life. On one occasion this poor fellow was brought before his old companion, charged with a crime. The lawyers present wondered what kind of justice would be administered by the judge under such trying circumstances. To their surprise, he sentenced his one-time companion to the heaviest penalty the law would allow, and then paid the fine himself and set his old friend free. God, against whom we had sinned, in justice sat upon His judgment throne and passed the heaviest penalty He could—the sentence of death upon the sinner. Then, in mercy, He stepped down from His throne and in the person of His Son took the sinner’s place, bearing the full penalty Himself. Second Corinthians 5:19 tells us that God was in Christ, not through Christ, but in Christ reconciling the world unto Himself. God the Father, God the Son, and God the Holy Spirit are one God. The same God against whom we had sinned passed the judgment, paid the penalty, and now offers you a full and free pardon, based upon absolute righteousness. That is why the Apostle Paul, in Romans 1:16, 17, says: “I am not ashamed of the gospel, for it is the power of God for salvation to everyone who believes. … For in it the righteousness of God is revealed.” I, too, can say I am not ashamed of the Gospel of Christ, for no man on earth can find a flaw in the righteous forgiveness offered by God to man, and that is the righteousness you may possess now, at this very moment, if you will accept it. But is the acceptance of Christ as my Savior all that is necessary to save me for all eternity? Yes, I admit the very simplicity of it seems to make it hard to grasp. If I owe $500 and have nothing with which to pay, and a friend pays the debt for me and gives me the receipt, I do not worry about it anymore. I can look my creditor straight in the face, for I hold his signed receipt. As Jesus Christ gave His life in place of mine, He said: “It is finished,” meaning that the work of atonement was completed, and God gave me His receipt; in other words, the assurance that He was satisfied with Christ’s finished work in that He (God) raised Christ from the dead on the third day. “But I can’t see it,” said a certain cabinet-maker as a friend tried to explain this to him. At last an inspiration came to his friend, who, lifting a plane, made as though he would plane the top of a beautifully French-polished table that stood near. “Stop!” cried the cabinet-maker. “Don’t you see that’s finished? You’ll simply ruin it if you use that plane on it.” “Why,” replied his friend, “that’s just what I have been trying to show you about Christ’s work of redemption. It was finished when He gave His life for you, and if you try to add to that finished work you can only spoil it. Just accept it as it stands—His life for yours—and you go free.” Like a flash he saw it and received Jesus Christ as his Savior. But, says someone, here is a problem that puzzles me. I know a polished, cultured gentleman who is not a Christian and states so quite definitely, and I know a rather crude uncultured man who is a Christian and who shows his genuine belief in many ways. Do you mean to tell me God prefers the uncultured man simply because he has accepted and acknowledged Christ as his Savior? This question arises from a confusion of ideas. A Christian is not different in degree from a non-Christian, he is different in kind, just as the difference between a diamond and a cabbage is not one of degree, but of kind. The one is polished, the other is crude, but the one is dead while the other is alive. Therefore the one has what the other has not in any degree—life, and such is the difference God sees between a Christian and a non-Christian. Here is one of many such statements He makes in His Word: “And this is the testimony, that God gave us eternal life, and this life is in his Son. Whoever has the Son has life; whoever does not have the Son of God does not have life” (1 John 5:11, 12). So the vital and all-important question for every one of us becomes not am I cultured or uncouth, but am I alive or dead toward God. Have I received God’s risen Son who brings me life from above, the life of God, called in the Bible eternal life, or have I not received Him and am therefore classed by God as among those who have “not life”? Is an intellectual appreciation of the death of Christ on my behalf all that is necessary to my becoming a Christian? Such is invaluable but not in itself sufficient; there must be a heart response as well. We all have the innermost recess of our beings, which is sacred to us, where emotions stir that no one else could possibly understand. Jesus Christ, God’s Son, because of His love for us, claims the right to enter there. He will take no other place in my life. The love He has shown for me entitles Him to that place. Will I withhold it? When I think that Christ’s love for me was so great that He left His Father’s glory and came to earth, taking on the form of humanity that He might suffer and die in my place to save me for time and eternity, my heart softens toward Him. If when lying sick and helpless, a human friend had rushed into a burning building to save me, and, wrapping the blankets about me that I might receive no harm, had himself been scarred and burnt so that he lay dying, would not my heart go out to him? God knows it would. And now, I am face to face with my Savior. I see Him suffering in the garden of Gethsemane in anticipation of His death on the Cross for me; I see Him in Pilate’s Judgment Hall; the soldiers have been striking Him in the face, saying, “Prophesy to us, you Christ! Who is it that struck you?” (Matthew 26:68) But now they are crowning His holy brow with a crown of thorns. Bleeding and bruised, they have taken Him from judgment to Calvary; they are driving great spikes through His hands and His feet, and, not yet satisfied, having lifted Him up to die between two thieves, they gather around to mock Him as He pours out His life to redeem them. And then I begin to understand what self-sacrificing love really means as I hear Him cry: “Father, forgive them, for they know not what they do” (Luke 23:34). But could we enter sympathetically into the physical sufferings of Christ until tears streamed down our cheeks, and that was all, we should have failed miserably to comprehend the true significance of the Cross. Second Corinthians 5:21 tells us that “he [God] made him [Christ] to be sin who knew no sin.” Come with me, with bowed head and humble heart, and let us, if we may, enter into the soul sufferings of Christ the Son, and of God the Father, as that Holy One, who loathed sin as we would loathe leprosy, is made sin for us. Have you ever heard of a venerable old gentleman, justly proud of his honored name—a man who would sooner lose his right hand than use it to do a dishonorable deed? His son and heir goes astray from the paths of virtue, and in a drunken brawl murders someone—and the old man walks no more erect, his head is bowed in shame, and soon his soul-suffering brings his gray hairs in sorrow to the grave. If that be possible, and it is possible even for us to feel the disgrace of a greater sin than we are used to—think what sin must be like in all its awfulness to an absolutely holy God. Now I understand why, in the garden of Gethsemane, Christ turns in loathing from sin and cries out in the agony of His soul: “My Father, if it be possible, let this cup pass from me; nevertheless, not as I will, but as you will” (Matthew 26:39). Yet in spite of that agonized cry from Gethsemane, “God so loved the world, that he gave his only Son” to be “made sin” for us, “that whoever believes in him should not perish but have eternal life” (John 3:16). Now if I would retain any ideal of manhood, or any nobleness of character, I dare not reject One who endured so much for me. My intellect has reasoned it all out; my emotions have been deeply stirred; and now they both appeal to my will for a decision. To be true to my God and myself and my eternal future I had only one course open, and I took it. Today Jesus Christ is my personal Savior and my Lord. Because of His love to me, because of the way He has blessed me here, and because of my assurance of a glorious hereafter, my heart’s desire is that you might share in the blessings I enjoy. Christ has done all. I say it reverently; He can do no more. He has borne the penalty of your sin also; He has been raised by the power of God the Father, and now He presents Himself to you. Will you accept Him as Savior and crown Him as your Lord? You are saying: “It seems so mysterious; the mystery of it all baffles me.” I do not ask you to understand the mystery of it. I cannot understand its mystery myself, nor can any Christian in this life. But I am not asking you to worry about its mystery. I am asking you to rejoice in its fact. Electricity remains a mystery. We have discovered many of the laws which govern it, but to tell what it really is, we cannot. You and I do not worry about the mystery of electricity as we make use of its benefits. Maybe you have known men and women who accepted Jesus Christ as their Savior and were so changed as to be new creatures in Christ. Will you not let these facts that you have seen for yourself influence you? Yes, it is just as simple as switching on an electric light. As you leave the mystery of the current with the engineer, and take the benefits of the light to yourself, leave the mystery of salvation with God, and take the infinite benefits of a personal Savior to yourself. Yield to Him now—He wants to come into your life. Say and mean it: “I am Yours, Lord Jesus; yielded to You, body, soul, and spirit, and You are mine.” Then clinch it by signing the declaration form on the next page. If you have signed the Declaration Form, what follows is of no interest to you. But if you have not, please read on. Someone says, I most emphatically resent being brought to a straight-out decision on any important subject. It is not that I have no willpower. In fact, I am so strong-willed that I am determined neither to pull up against the current nor pull down with it; I am determined to do nothing, and just drift, slowly drift, down the stream of time. True believers in Jesus Christ look forward to eternity with joy. Why am I not honest enough to admit to myself that my resentment at the question is only because I do not want to decide in the way I know I ought to? But I must face it someday; why not now? Yes, I will accept Christ as my Lord and Savior. Now you have done it, sign your name and just read this little book again; it will seem so much clearer; then read the gospel of John straight through. You say you have accepted Christ—go and tell someone—do not be ashamed to confess Him. Why should you be? Suppose I had fallen over the wharf, injuring myself so that I could not swim, and a laborer working on a coal pile had plunged in and saved me. If a month later you saw me walking down our principal city street and the same laborer, all covered with coal dust, coming up, and if you saw that I noticed him first and deliberately turned to look into a shop window so that I would not have to stop and shake him by the hand because I was ashamed to be seen talking to him, what would you think of me? You have signed your name declaring you believe the Lord Jesus Christ has given His life to save you. Occasions will arise when you will meet Him face to face in the presence of those who despise Him. Will you be ashamed and look the other way, or will you honor Him in both word and deed as your Lord and Savior? Having really accepted Him, you must and you will acknowledge Him. My choice of words may sometimes have been at fault, but for the truth underlying these pages I have no apology to make. I have sought to write what I believe God would have me write in the discharge of my duty to Him and to you, and I follow this booklet with the earnest prayer that God will bless it to your eternal welfare. I was seeking to lead a young soldier to accept the Lord Jesus Christ, but, like most men, he tried to evade the straight issue with the promise, “I’ll think it over.” “Harry,” said I, “let me illustrate. You are out with the boys some night raiding an enemy post, and on the way back you get hit hard. Bill Smith stops long enough to pick you up and carry you back to your own lines, and for his trouble gets two bullets in the back. You are both taken to the hospital, and by tender care are won back from the very jaws of death. Two months later the doctor comes along helping a poor fellow who limps badly and moves with evident difficulty. They stop at your bedside, and the doctor says: ‘Harry, I want to introduce you to Mr. Smith, the man who risked his life to save you,’ and you fold your arms and say, ‘I don’t know whether I want to make his acquaintance today or not. I’ll think it over.’ You wouldn’t say that, Harry, would you? You would grasp him by the hand and try to tell him something of the gratitude you felt. I want to introduce you tonight to the Lord Jesus Christ, the Man from the Glory, who not only risked His life, but sacrificed it to save you, and you propose to turn your back on Him and say you’ll think it over.” “No,” he said, “I’ll accept Him,” and together we knelt while he told the Lord that he there and then accepted Him as his personal Savior. Are you “thinking it over,” or have you faced the issue squarely and made a decision?